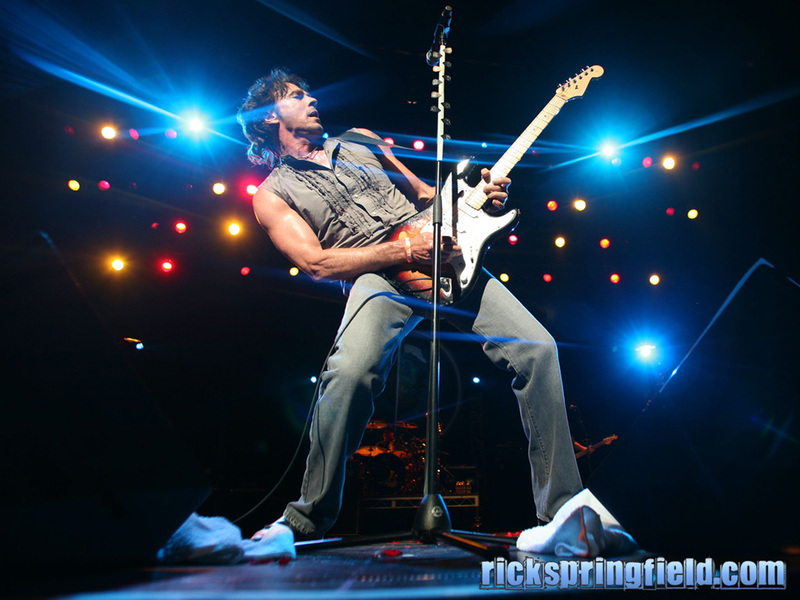 HomeArtsy MamaGiveaway: Tickets to see Rick Springfield in concert! Note from the mamas: Congratulations to Angela Howrey, winner of the Rick Springfield tickets and Burger Life deliciousness! Attention all mamas who once had a crush (and maybe still do) on Rick Springfield: We’re giving away two tickets to go see him live in concert at the Arkansas Music Pavilion on August 7th! You can tease your hair into that 1980s big-bangs look you used to do so well and go rock out to a little “Jesse’s Girl”. Use your free tickets as an awesome “date night” or a really fun girls’ night out. Plus, we’re pairing the tickets with a gift card which you can use for dinner at Burger Life, on Joyce Street in Fayetteville, just around the corner from the AMP concert location. ABOUT THE CONCERT: Grammy® Award-winning musician, actor and author Rick Springfield is a Grammy award-winning musician and is also an actor and author. He first hit it big in 1981 with the release of the song he is best known for — Jessie’s Girl. He was also a huge hit on the soap “General Hospital”. ABOUT THE FOOD: For those of you who like to really customize your gourmet burger or chicken sandwich, you’re in luck with Burger Life. 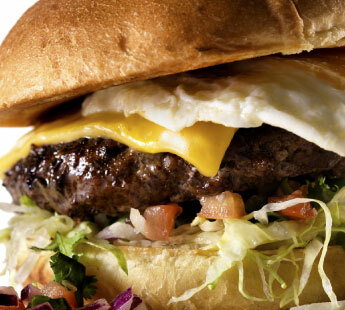 Not only are the burgers delish, it’s also fun to order there. Everyone in line gets a menu and a marker to circle their choices of: meat, bun or bowl; cheese; toppings; and sauce. The burgers are served with home-style chips, which we love, but there are also some awesome sides, which range from shoestring fries to fried dill pickle chips. Top off your meal with a couple of free concert tickets, and we think you’ll have to agree that this is a pretty delicious summer combo. HOW TO ENTER: To throw your name in the hat for the concert tickets plus the Burger Life gift card, just click on the orange comment button below and tell us what your favorite Rick Springfield song is. 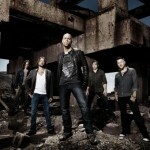 (We’re partial to “Love Somebody”.) Does it conjure up old memories for you? Did you have Rick’s poster up on your bedroom wall once upon a time? Spill the beans, mamas. You can also email your answer to giveaways@nwaMotherlode.com. HOW TO INCREASE YOUR CHANCES: If you REALLY, REALLY want to win these tickets, here’s a good way to increase your odds. Just email a note about this giveaway to your friends/family to help us spread the word and we’ll give you an extra chance to win for every person you tell. Just be sure to put giveaways@nwaMotherlode.com on the CC line of your email so we can give you proper credit. Good luck in the giveaway! Remember you can buy tickets for this concert and take luck out of the equation altogether. To order tickets, call the Walton Arts Center/AMP box office at 479-443-5600 or click here for ticket info! 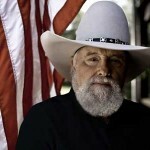 Giveaway: Tickets to Charlie Daniels Band at the AMP! 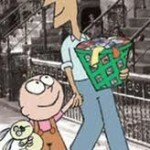 Giveaway: Knuffle Bunny tickets and dinner at Marketplace Grill! Affair of the Heart is Rick’s best song! It takes me back in time!! Jesse’s Girl used to be my favorite, until my divorce, now it’s Love Somebody. I used to watch him all the time on General Hospital. Jesse’s Girl was my favorite. I would watch that video over and over and listen to it on my record player. I love Rick Springfield. Yay. This is a concert I wanted to go to anyway. It would be great to actually win tickets for it. I haven’t gotten to try Burger Life, either–always smells so good when I go by…..
affair of the heart, but I love just to hear him sing. Iwould love to take my daughter who just gave birth to my one and only grand child Anna Bell. I like all of his songs, but my favorite is probably Jessie’s Girl. Found memories of old friends and dancing to the song. 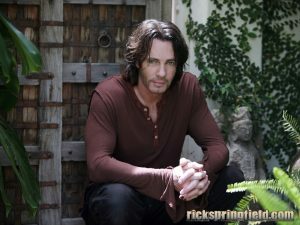 OMG…love Rick Springfield. I still crank up the radio/PC when Jessie’s girl is played. “Jessies Girl” is probably my fav. And I can remember that he had a Saturday cartoon (back when the only time you could watch cartoons was from early saturday morning until noon!) He was/is a hottie! Have to say Jessie’s girl. Never EVER missed an episode of General Hospital when he was on there. Awwwwwwww!!!!! Jessie’s Girl is my favorite. My best friend and I loved it so much she named her first son Jesse after the song. I used to watch him on General Hospital. I just loved his music and him. Brings back alot of memories. Well of course Jessie’s Girl. I remember signing along and thinkging the word “moot” was so funny and he was obviously mispronouncing something! I have done everything for you — rick springfield was my first thing I bought from Scholastics book fair at school (not a book, but the poster) love him!!! Noah Drake on GH!!! I really like Jessie’s Girl. It just sticks in my head. Jessie’s Girl. Would love to go! 80’s music rocks! Oh boy – “I’ve Done Everything for You” was popular when I was at the end of my rope with a high school boyfriend. It was perfect! I wanted to see him in the 6th grade when all of these songs were popular. Now I have a second chance! Would love to go! Have never been to the AMP! I would love to surprise my college girlfriend, Connie with tickets. Her favorite song was Jessie’s Girl. I would love to surprise my mama with this concert! She loves Rick Springfield! She loves, “Somebody to Love” and “Jessie’s Girl”! I GET EXCITED when I think about winning Rick Springfield tickets! My friends and I will BOP TIL WE DROP thinking LOVE IS ALRIGHT TONIGHT! We can’t wait to CELEBRATE YOUTH and LOVE SOMEBODY. Please give us a chance to be JESSE’S GIRL! We desperately need the HUMAN TOUCH! AAAGGHHH! My sister was Rick Springfield’s biggest fan in the 80s and she’ll be in town so I’d LOVE to win! What a surprise that would be! Gonna have to go with Love Somebody too, as that’s the song she danced to! Totally Jesse’s Girl!! Would love the chance for a Girls Night Out!! :))) crossing my fingers and toes!!! “Don’t Talk to Strangers” an eternal fav and “Beautiful You” from his more recent Shock/Denial/Anger/Acceptance cd. The man’s got talent! Living in Oz (great album, great song) – RLS 1st concert in ’84 – he’s still putting out great music – invest in SDAA & Venus in Overdrive CDs to see what he’s been up to past few years! I love everything Rick Springfield. But I have a soft spot for Jesse’s Girl. Just a quick shout out to #wcfay, which is how I found you. Great job on the panel!